One of the pleasures of starting your own business is the ability to choose the people you’re going to work with. However, if you’re dreaming of starting a business with a close friend, family member or former coworker as your business partner, don’t assume all will be smooth sailing just because you know each other. Just like marriages, business partnerships often run into rough waters. 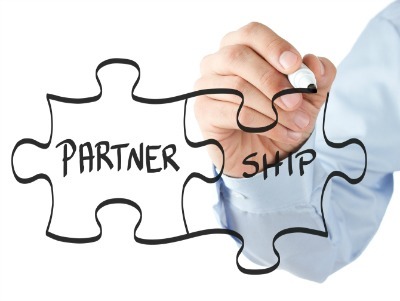 To ensure your business partnership stays on course, follow these tips. 1. Share the same values. Don’t write the first word of your business plan until you know that you and your partner have the same dreams, goals and vision for your new business. Does your partner dream of starting the next Starbucks, while you envision a part-time catering business that gives you plenty of time with your family? You and your partner must share the same core values, goals and work ethic if you want the business to succeed. 2. Choose a partner with complementary skills. When you and your business partner have different strengths, you'll double the power of your startup team right off the bat. For example, a shy tech expert who wants to start an Internet business would do well to find a partner with sales, marketing and people skills. This way, both partners can focus on doing what they enjoy and are good at. 3. Have a track record together. Succeeding as business partners doesn’t require having run a business together or even having worked together before. It does require a track record of going through similar challenges together successfully. Look for a partner you’ve handled conflicts with, achieved common goals with and survived tough times with in the past. 4. Clearly define each partner’s role and responsibilities. An informal organization where each partner does what’s needed at that moment may work in the very early startup stages, but not in the long term. Defining each partner’s job title and duties helps eliminate disagreements by giving each partner control of his or her domain. Employees and customers also benefit from knowing which partner handles what aspects of the business. 5. Select the right business structure. You can organize a partnership as a general partnership, limited partnership or limited liability partnership. However, you can also organize it as a C corporation or S corporation. Each form of business has its advantages and disadvantages in terms of liability, taxes and continuity. Talk to an attorney or other experienced advisor to help determine which form of business is right for you and your partner. Even if you're starting a business with your best friend from kindergarten, you need to draw up legal documents regarding your business structure, capital contribution to the business, how decisions will be made and disputes resolved and what happens if one partner wants to leave the business. Thinking through all the things that could go wrong and how you will handle them makes it easier to deal with any difficulties that do arise. Soft-pedaling your true feelings because you don’t want to hurt your business partner will cause more problems than it eliminates. In order for your partnership to work, both of you must feel comfortable openly sharing your opinions and hashing out any disagreements that arise. Sweeping your concerns under the rug only leads to bitterness and resentment which can destroy your partnership—and your business. These can be tough issues to discuss, especially when you’re excited about your startup and can’t wait to get going. But unless you take the time to lay the foundation for a lasting business partnership, your new business may never get off the ground.